Died: February 19, 1893, Lancaster, Pennsylvania. Buried in Lancaster Cemetery. Post-war Life: Major in U.S. Army, various posts including Texas and Louisiana. 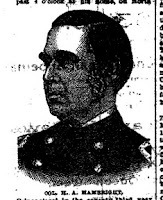 Retired in 1879. Key Events: Battles of Perryville and Chickamauaga. Wounded at Battle of Buzzard's Roost. While other Union Army leaders who called Lancaster home achieved greater rank and glory, Col. Henry A. Hambright represented--in the eyes of the average Lancasterian--the town's military leader. A hero of the Mexican War and militia leader during the 1850s, Henry A. Hambright led the 79th Pennsylvania basically from when he raised it until it was mustered out in 1865, although he was seldom in command during 1864 and 1865 due to health problems. 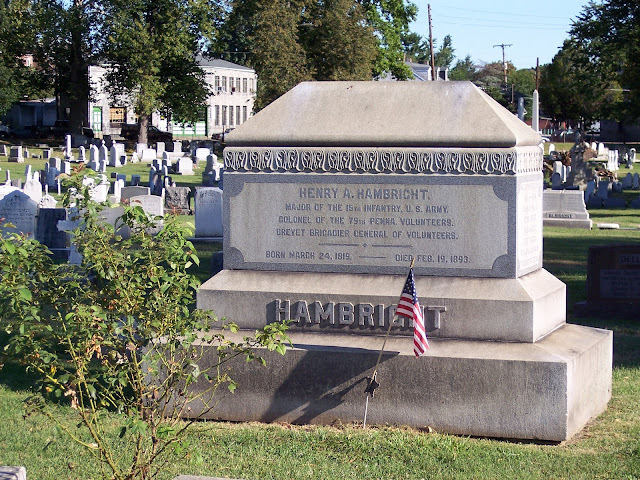 With a father and uncle as officers in the War of 1812, the name Hambright stands out as the preeminent name in Lancaster's nineteenth century military tradition. Although thoroughly affiliated with the Democratic Party, Hambright won near universal acclaim as a strict disciplinarian and talented drillmaster, all the while gaining respect for showing deep concern for the welfare of the men he commanded. Following in the footsteps of his father, Frederick Hambright, Henry worked as public works contractor, beginning as superintendent of grading on the Germantown & Norristown Railroad. Other projects on which Hambright worked included the tide-water canal from Wrightsville and the Delaware division of the Pennsylvania canal. He fought valiantly in numerous battles of the Mexican War, serving as 1st Lieutenant of Co. G, Second Pennsylvania Infantry. One of his official reports was published in the December 28, 1847, Intelligencer and can be viewed at this link. 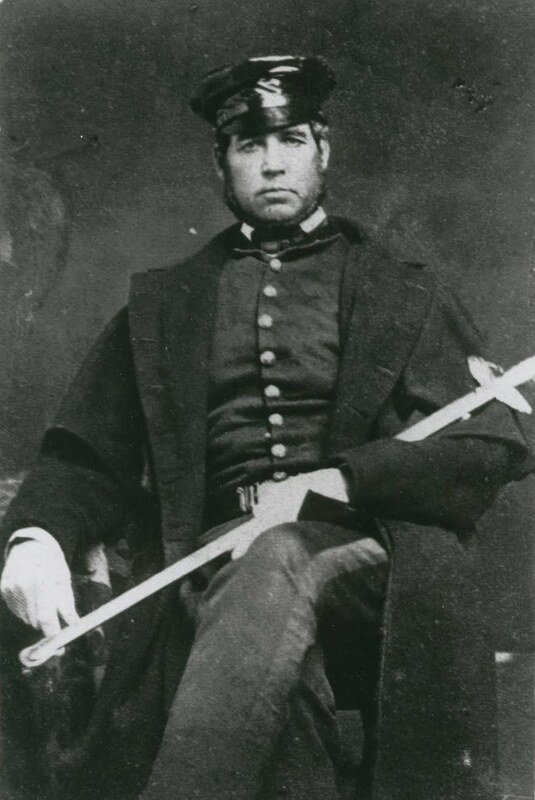 Later, he succeeded his father as Captain of the militia organization, the Jackson Rifles, which he led during the Three Months Campaign of 1861 as Co. K, 1st Pennsylvania Volunteers. At the war's outbreak, Hambright's occupation was superintendent of the Pennsylvania Railroad's Lancaster operations, although the exact nature of the position is unclear. Printed below are accounts of presentations of a sword, officers' accouterments, and a horse to Colonel Hambright that show the high esteem in which Lancaster's citizens held the leader of the Lancaster County Regiment. More broadly, through Hambright's tenure as colonel we can see how deep connections--emotional, political, social, material, etc.--ran between the 79th Pennsylvania and the city streets and verdant farms from which its men came. Obituaries in Weekly New Era (2/25/1893) and Daily Intelligencer (2/20/1893).